BEAT THE HEAT! 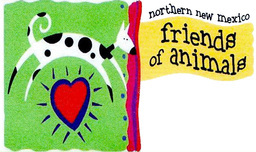 Northern New Mexico Friends of Animals (NNMFOA) is hosting dog and cat spay-neuter clinic on Saturday, October 10th, 2015 for Taos County residents. This clinic is being paid for by Taos County. The Santa Fe Animal Shelter & Humane Society's mobile unit is coming to Questa to spay-neuter 25 dogs & cats! By appointment only, so please call Northern New Mexico Friends of Animals today. For a free cat spay-neuter, contact the Zimmer Foundation 505-466-1676 or Taos Feral Feline Friends 575-737-9208. Minimum weight to receive the Rabies vaccine is 3 pounds. Nursing and pregnant mom dogs OK with vet approval. Taos County has a dog & cat overpopulation problem, so please spay your dog or cat BEFORE she has a litter.